Bahia state: Municipalities of Agua Fria, Acajutiba, Aiquara, Alagoinhas, Amelia Rodrigues, Amargosa, Anguera, Antonio Cardoso, Apora, Apuarema, Aracas, Aracatu, Aramari, Aratuipe, Aurelino Leal, Barra da Estiva, Barra do Rocha, Barrocas, Biritinga, Boa Nova, Boa Vista do Tupim, Bom Jesus da Serra, Breoes, Cabaceiras do Paraguacu, Cachoeira, Caetanos, Cairu, Camacari, Camamu, Candeal, Candeias, Caraibas, Cardeal da Silva, Castro Alves, Catu, Conceicada Feira, Conceicado Almeida, Conceicado Jacuipe, Conde, Contendas do Sincora, Coracade Maria, Cravolandia, Cruz das Almas, Dario Meira, Dias d'Avila, Dom Macedo Costa, Elisio Medrado, Entre Rios, Esplanada, Feira de Santana, Gandu, Gongogi, Governador Mangabeira, Guajeru, Iacu, Ibirapitanga, Ibirataia, Igrapiuna, Iguai, Inhambupe, Ipecaeta, Ipiau, Ipira, Irajuba, Iramaia, Irara, Itaberaba, Itagi, Itagiba, Itamari, Itanagra, Itaparica, Itaquara, Itatim, Itirucu, Itubera, Jacaraci, Jaguaquara, Jaguaripe, Jandaira, Jequie, Jiquirica, Jitauna, Lafaiete Coutinho, Laje, Lajedo do Tabocal, Lamarao, Lauro de Freitas, Licinio de Almeida, Madre de Deus, Maetinga, Manoel Vitorino, Marau, Maracas, Maragogipe, Marcionilio Souza, Mata de Sao Joao, Milagres, Mirante, Mortugaba, Muniz Ferreira, Muritiba, Mutuipe, Nazare, Nilo Pecanha, Nova Ibia, Nova Itarana, Ouricangas, Pedrao, Pindai, Pirai do Norte, Planaltino, Pojuca, Presidente Janio Quadros, Presidente Tancredo Neves, Rafael Jambeiro, Riachao do Jacuipe, Rio Real, Sao Felix, Sao Felipe, Sao Francisco do Conde, Sao Goncalo dos Campos, Sao Miguel das Matas, Sao Sebastiao do Passe, Salinas da Margarida, Salvador, Santa Barbara, Santa Ines, Santa Teresinha, Santanopolis, Santo Amaro, Santo Antonio de Jesus, Santo Estevao, Sapeacu, Saubara, Sebastiao Laranjeiras, Serra Preta, Serrinha, Simoes Filho, Tanhacu, Tanquinho, Taperoa, Teodoro Sampaio, Teofilandia, Teolandia, Terra Nova, Ubaira, Ubaitaba, Ubata, Urandi, Valenca, Varzedo, Vera Cruz, Wenceslau Guimaraes. The determination of new areas considered to be at risk for the yellow fever transmission is an ongoing process and vaccination recommendations are subject to change. Previous extension of the risk areas in Brazil have been published this year. Our TravelHealthPro website provides a full list of areas where yellow fever vaccine is currently recommended for travellers, see the Brazil country page. Following a detailed risk assessment, it may sometimes be appropriate for travellers visiting areas close to but outside the areas where vaccine is currently recommended in Brazil, to consider vaccine. Further specialist advice is encouraged in such circumstances. As of 29 March 2017, a total of 1,987 human cases of yellow fever (574 confirmed) have been reported . Confirmed cases have been reported in the states of Minas Gerais, Espírito Santo, São Paolo, Rio de Janeiro, and Para . Suspected cases are being investigated in other states. A downward trend in reported cases continues for a fifth consecutive week in the states of Minas Gerais and Espírito Santo . In the state of Rio de Janeiro an increasing trend was observed between 9 and 15 March. Six confirmed autochthonous (locally acquired) cases were reported in the municipality of Casimiro de Abreu, which is located 136 km away from the city of Rio de Janeiro . To date, the Aedes aegypti mosquito, which is able to survive in urban areas, has not been reported to have a role in transmission [1, 2]. However, confirmed cases in non-human primates in large cities, such as Vitoria in Espírito Santo state and Salvador in Bahia state, highlight a risk for a change in the transmission cycle . 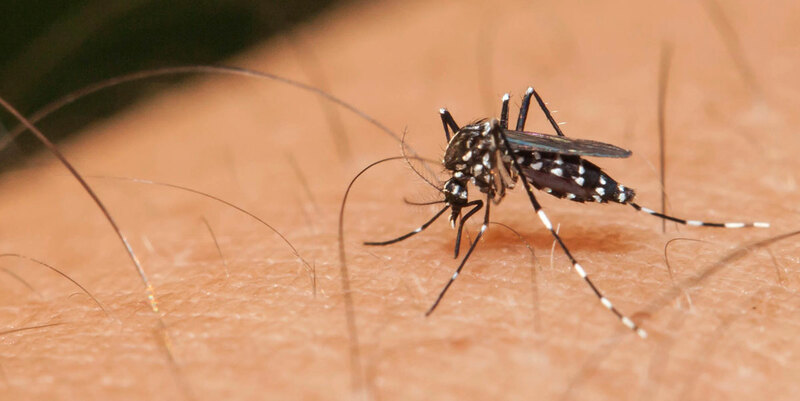 Yellow fever is transmitted to humans via the bite of an infected mosquito. You should take insect bite avoidance measures, day and night, when visiting countries with a risk of any disease transmitted by insects. If you are travelling to the affected areas of Brazil or any other countries with risk of yellow fever; vaccination is also recommended for your personal protection. Full details of yellow fever vaccination recommendations for countries can be found on our Country Information pages; please note that due to the current outbreak recommendations may be subject to change. Details of the countries that require proof of yellow fever vaccination as a condition of entry under the International Health Regulations (IHR) (2005) are also provided. Travellers are reminded that countries may also change their certificate requirements at short notice. When undertaking yellow fever risk assessment, health professionals should refer to the individual Country Information pages, where detail relating to risk areas, recommendation for yellow fever vaccination and IHR (2005) certificate requirements are available. Some travellers may require vaccination for certificate purposes. Health professionals are also encouraged to access the Outbreak Surveillance Database where the details of outbreaks are posted. Under the IHR (2005), countries are no longer required to automatically report yellow fever outbreaks to the WHO and surveillance and reporting of yellow fever in risk countries can be poor.